Teaching gymnasts yurchenko vaults | Swing Big! Yurchenkos are a tricky thing to teach. There are a lot of different theories, and a huge number of different components to the vault. Here are just a few videos that might help you. I love, love, love this drill. Getting kids over the fear of going onto the table as opposed to a resi mat etc. can be VERY difficult. Once your kids have a good round-off back tuck up to a high resi, or round-off double back into the pit this is a great way to go. Especailly at first, it’s better to be too high on than anything else. This helps mitigate the fear of the table. This second drill is really, really good for seeing/fixing shapes when kids are hitting the table. It helps a lot with body tension, and helping the kids feel where they are supposed to be. 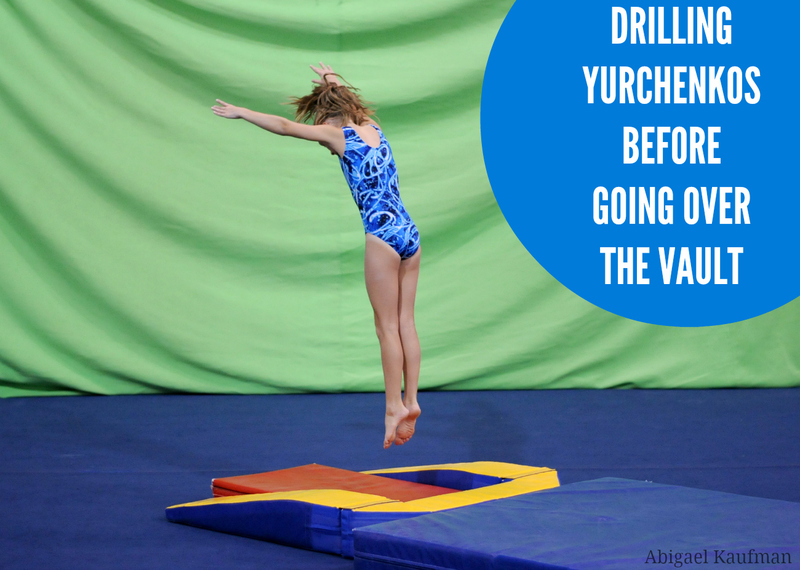 What are your favorite Yurchenko drills?